Public space is the city at eye level, where we can get a measure of the different things people do with urban space. After the radical initiatives of the modern movement, which separated the functions of the city by creating a hierarchy to free up groundspace, hygienism and safety concerns have emptied the streets of most of their former uses, where life took hold in what was not so much public space as common space. Made ordinary and safe, the western city is destined to lose its sense of adventure and the unexpected. Is it possible to escape from the safe, risk-free, emotionless city? The present work is an observation. 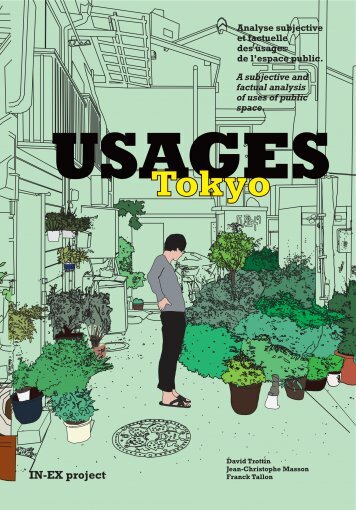 It presents a subjective and factual selection of ways public space is used in three major world cities. Based on long walks in various neighbourhoods taking thousands of photographs, we have redrawn a selection of street scenes. Drawing is an effective way of spatially and hierarchically organising interpretations of urban use.